This excursion has been re-dated from 11 May to 3 August as D9009 Alycidon is undergoing repairs and was not going to be available on 11 May. 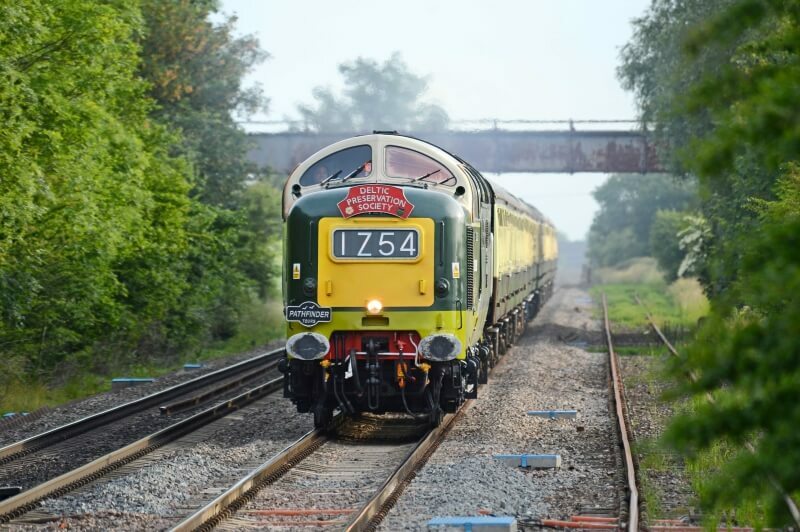 For two decades the 3300hp 100mph Deltic diesels were the mainstay of the fastest and heaviest trains on the routes from London Kings Cross to York and Leeds, taking in Harrogate and Cleethorpes amongst other places. 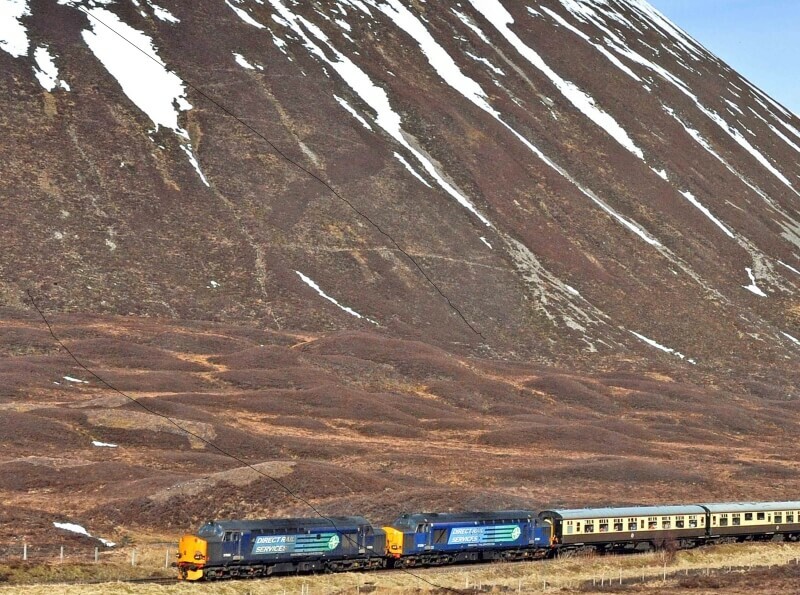 Our train travels over a variety of those routes, and some where the appearance of a Deltic would have turned heads. D9009 Alycidon heads the train from the start, via Derby and Sheffield to York, then via Harrogate, Leeds and on to Doncaster. Then it is main line to ‘The Cross’ (Kings Cross), for an afternoon break of about 2 hours, before the return north. At Newark we turn east to Cleethorpes, for a short stop. A Class 68 will then haul the train to a reversal at Ulceby, with D9009 resuming command for the return journey through Doncaster and Sheffield to Derby and Willington. *Premier dining not available from this station. Motive power is expected to be Class 55 diesel D9009 ‘Alycidon’ courtesy of the Deltic Preservation Society. A D.R.S. Class 68 will assist in the Cleethorpes area.